Visitor Center Hours are 9-5 M-F during winter. Extended summer hours include opening Saturday 9-3. 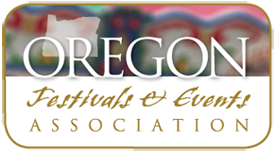 Albany Visitors Association is your source for discovering upcoming fun, family friendly festivals and events in the Mid-Willamette Valley. Visit our website for a complete list or give us a call! I-5 runs through Albany. Follow signs to Hwy. 20/Historic Downtown Albany. Visitor Center is on the corner of Hwy 20/Lyon St. and 3rd Ave SE across from Pizza King.